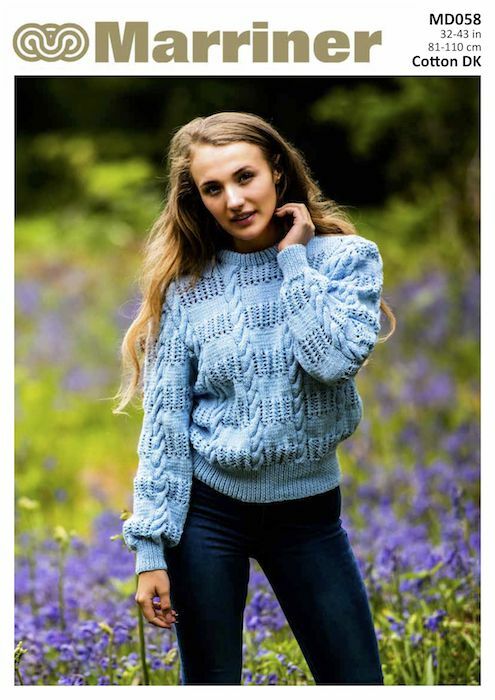 A beautifully constructed Double Knit jumper that uses both lace and cable textures to create something truly unique. 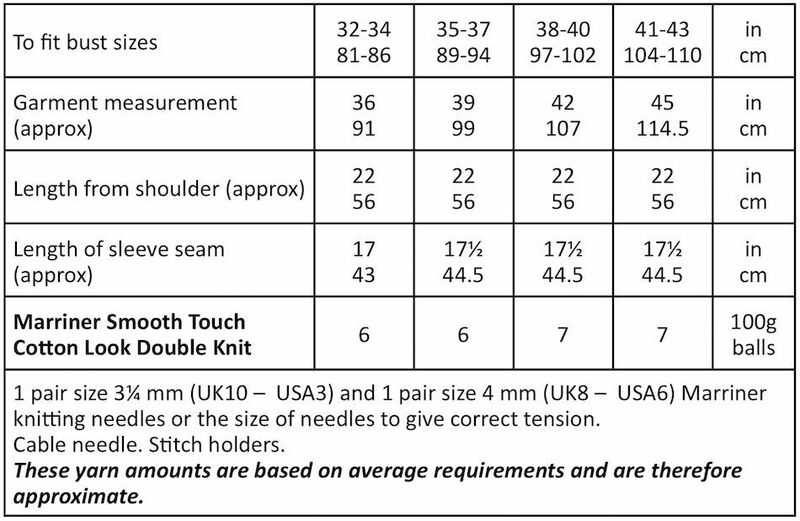 Hooks required 1 pair size 3¼ mm (UK10 - USA3) and 1 pair size 4 mm (UK8 - USA6) knitting needles. Cable needle. Stitch holders.